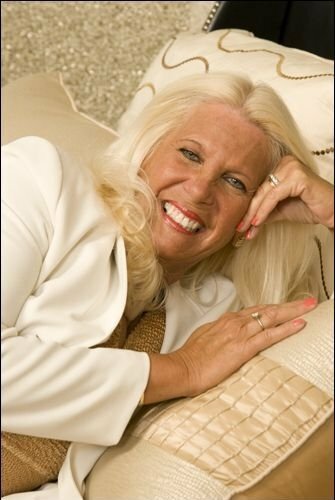 Robin is one of New England’s top interior designers, has owned and operated retail home furnishing stores since 1977. In 1993, Robin combined her stores and opened Design Center West, Bedworx, Inc; a one stop shopping experience for the public, decorators and designers alike. In 1994, she took her upscale furniture and custom window treatment concept to the “world wide web”; creating http://www.leatherfurniturestore.com. In 2013, the leatherfurniturestore.com and directfurniturecenter.com web stores combined to place the entire selection from both stores into one convenient location. Today, Robin’s retail showroom remains open to the public and is located at Trolley Square on Rt. 9 in Framingham, Ma. Direct Furniture Center offers an unrivaled selection of furniture including home furnishings and office furniture! Shop here for quality furniture from the furniture brands and manufacturers you know and trust, at prices to meet any budget. The home office furniture, office furniture and home furnishing brands we carry Artistica, TS Berry, Taylor King, Jaymar Leather Furniture, Kenroy Lighting, Johnston Casuals, Magnussen, Momeni Rugs and many more. Search our huge selection of bedroom furniture, living room furniture, dining room furniture and home office furniture to find everything from computer desks for your home or office to beds, leather sofas and love seats for your bedroom and dining room. Direct Furniture Center carries one of the largest collections of furniture on the web. We feature home furniture ranging from elaborate high quality pieces to discount name brand furniture. You will love our huge selection of bedroom furniture, living room furniture, dining room furniture and home office furniture. You will find many styles of home furnishings and home office furniture to match any home or office décor. Shopping at Direct Furniture Center, you′ll not only find the home furnishings you want, but you′ll get the first-class customer service you deserve. Our design experts are ready to assist you with every step of your furniture purchase. Extensive selection, outstanding customer service and competitive prices, all of our top-quality furniture is backed with the manufacturer’s warranty and delivered to you. We’ve been making our customers happy for over 35 years. Call us today at (508) 872-9709 or contact us at info@directfurniturestore.com. Our Furniture store service agents are waiting to help.